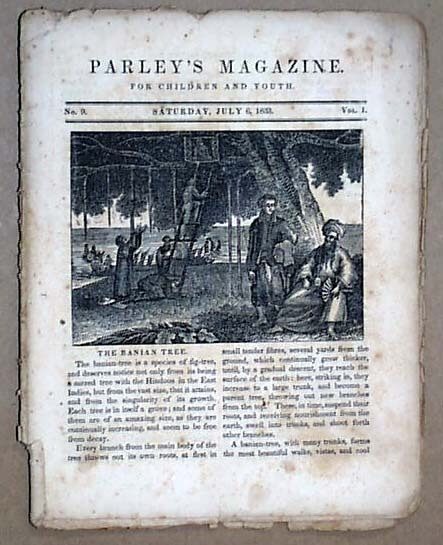 Item # 153102 PARLEY'S MAGAZINE, Boston, Massachusetts, 1833 A little newspaper for children with several illustrations within. Note that the photo is "generic" and the issue you get will not have this specific date but will have the format as shown. Measures approximately 8x6 inches and contains approximately 1 pages. Occasional foxing and uneven margins.